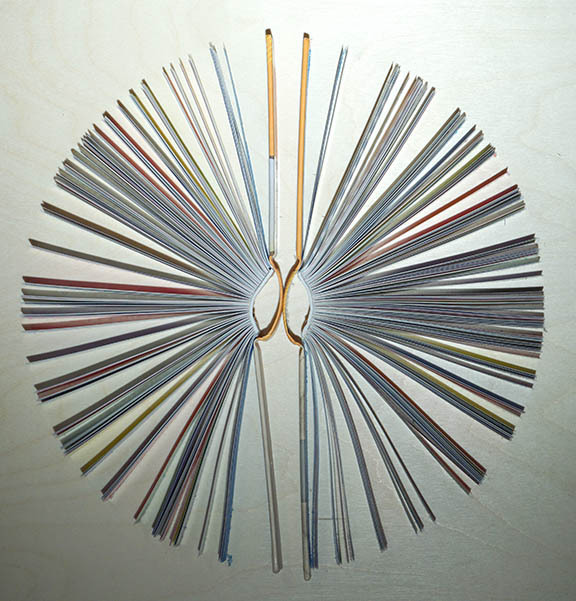 This piece was created using multiple perspectives of books as the building blocks. Together they fill the box form and flow around colorfully, creating a lively, whimsical, and somewhat architectural composition. Creating & Composing digital art provides Flexibility, live visualizing, and the ability to make mockups, outputable cut files, and are great guides for installation & execution.